ASU sophomore outside hitter Claire Kovensky (7) serves in the first set against Pacific during the Sun Devil Classic at Wells Fargo Arena in Tempe, Arizona, on Saturday, Aug. 25, 2018. You can read more about the game here. ASU volleyball won two out of three matches at the UNIWYO Invite this weekend in Laramie, Wyoming. In the Sun Devils first match of the invite, they beat Murray State 3-1. The team won the first two sets, but Murray State put up a fight by winning the third, which led to the final closing set in which ASU came out victorious. Notched one win last night. Senior outsider hitter Alyse Ford, sophomore outside hitter Claire Kovensky and junior outside hitter Ivana Jeremic each had 10 kills, and in her first match of the 2018 season, sophomore setter Shelbie Dobmeier had 38 assists and eight digs. ASU had less success in their second match of the invite against Wyoming, losing 3-1 on Friday night. Wyoming beat ASU in two straight sets, and the Sun Devils then took the third set 25-20 before falling to the Cowgirls, who were playing on their home court in the tournament. While the team did lose, Jeremic found success in the match and had a career-high of 26 kills. The Sun Devils ended the invite on a high note as they swept Binghamton 3-0 in their final match on Saturday morning. Jeremic earned her third straight All-Tournament honor this weekend with her impressive performance of 35 kills and 16 digs. Junior libero Courtney Leffel also joined Jeremic and received her third All-Tournament honor. The Sun Devils are headed home for the Sparky Classic on Sept. 14 when they will take on Northern Arizona, Gonzaga and Texas State. ASU's matchup with NAU is slated to begin at 11 a.m. MST at Wells Fargo Arena. 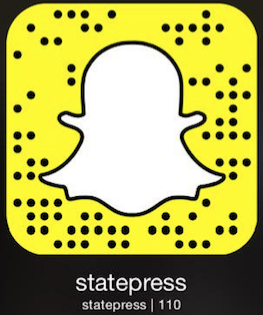 Reach the reporter at skbrisen@asu.edu or follow @sophiabriseno on Twitter.